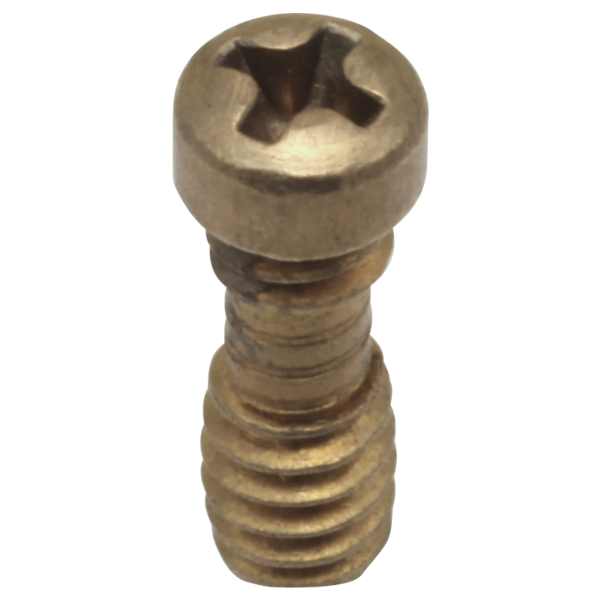 Retention Screws (2) - 1/2"
RP20185 is rated 1.0 out of 5 by 1. Rated 1 out of 5 by CBKidder from Too short despite being the recommended screw! My handle was missing its screw, and kept falling off, so I bought RP20185, which is called out as the correct screw for my Delta set. I was surprised and disappointed to discover that it was too short to hold the handle on. The screw head bottomed out on the know before the screw could do any holding, and the handle fell right off again. I ended up buying a longer but uglier screw from HD.